Literature can be a gateway to worlds far from our own reach; literature can ignite our imagination; literature can be immensely pleasurable. Literature can also be an act of resistance. Marginal writers—those who occupy positions at the margins of established literary canons—often don’t see themselves or their people represented in what they read. They can resist this exclusion or omission simply by representing themselves in their own work. I like to think of these type of works as literary interventions—purposeful acts of resistance by representation that can produce change. Because these interventions can and do have a real effect on society, disrupting long-held views of certain groups of people or individuals and making the world more tolerant of diverse perspectives, and more inclusive. In this series of posts I will discuss the work of three writers from different literary traditions that constitute acts of resistance by means of representation: Mexican Feminist Rosario Castellanos, Guinean writer María Nsué, and Afro-Peruvian writer Nicomedes Santa Cruz. Rosario Castellanos died an untimely death in Tel Aviv in 1974 while serving as Mexican ambassador to Israel. She was at the height of her career, recognized as one of the most important writers of her generation. Her poems, plays, novels, essays, and editorials follow the twin threads of oppression of indigenous people, particularly women, and of Mexican women. Is there a feminine culture? This was the central question guiding Castellanos’s 1950 master’s thesis, On Feminine Culture. In the essay she sets out to answer a basic question: whether or not women contribute to culture. For Castellanos, an aspiring writer at a time when writing was still primarily a male endeavor, this seemingly simple question wasn’t easy to answer. On Feminine Culture documents a painful process of discovery that only after some time would enable the writer to challenge the strictures confining women. As an aspiring intellectual she was seeking validation, but validation is hard to come by when her (and women’s) self-perception was formed through the opinions of men who did not see women as equals. For this reason, the document reads at times as an exposé of the markedly biased opinions of great men who conceive of culture as an exclusively masculine space. Castellanos seems to be aware that only women writers writing to an audience of other women will have the capacity to transform the strictures that limit women’s participation in the creation of a feminine culture. Only writing by women would reveal women’s true face, not a male projection of the same. The central theme of Castellanos’s autobiographical novel Initiation Rite, written in the sixties but only published posthumously, chronicles young Cecilia Rojas’ journey from a provincial town to Mexico City. The journey motif is meant to mirror the internal process of discovery and metamorphosis Cecilia undergoes in her quest toward independence and self-affirmation as a writer and intellectual. As she becomes immersed in the primarily male world of literature she searches for, and often struggles to find, validation and female role models. The novel traces the pain of the implicit choice: be an intellectual, or be a woman. But, via a liturgical litany of errors and repentance, Cecilia gains the freedom to be herself. Here we see Castellanos finding her voice, creating a feminine culture. The novel ends with Cecilia feeling one with the city but fully aware of the challenges that lie ahead. It’s not good enough to imitate the models proposed for us that are answers to circumstances other—than our own. It isn’t even enough to discover who we are. We have to invent ourselves. As a literary intervention, the play forces the audience into participating in the unfolding of a national drama it asks women to create. Through language, Castellanos’s creations begin to dismantle the long chains of misrepresentation that have trapped women in the role of the eternal feminine. Loved reading this thought provoking and informative piece. Certainly society is still grappling with issues brought to the forefront of Castellanos’s work today, interesting to take stock the historical importance and current day relevancy. Her words still very much ring true today. Wonderful piece! I appreciate the insight into Castellanos’ portrayal of feminine culture…Looking forward to the next piece in this series. Thank you for this introduction to Rosario Castellanos. Would that we could see one of her plays produced. This is clear, compelling, and illuminating. Thank you. Thank you for this clear-voiced and essential piece. Castellanos’ words here are haunting and powerful, her struggle to carve a space for them continues to resonate. Looking forward to the next posts. I appreciate this introduction to Rosario Castellanos. Thank you for sharing this powerful piece on the “eternal feminine,” the complexity of womanhood, and the fight for representation. Well-written, meaningful, and relevant. I look forward to reading more! Thank you for all your comments. 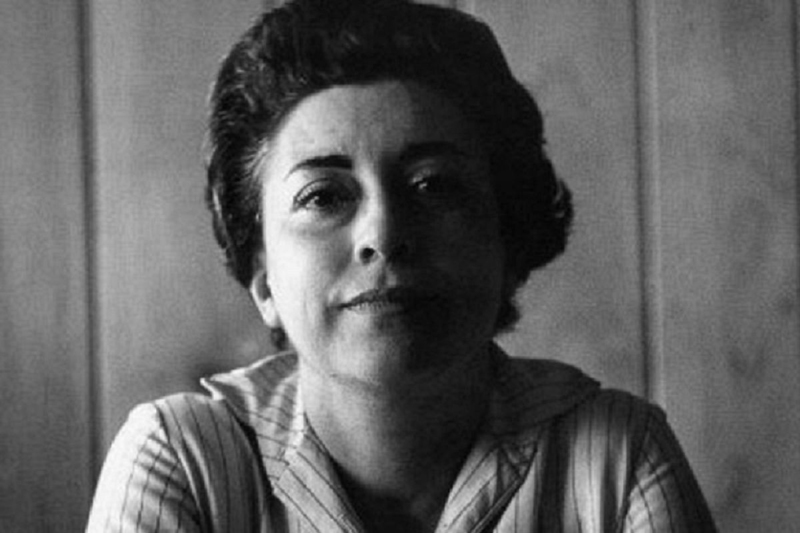 Although Rosario Castellanos’ novels and poetry are well known and have been translated (The Nine Guardians-novel and Meditation On The Treshold-poetry), her dramatic works and her novel Initiation Rite have not. I am currently working on a translation of some of her dramatic works. Her words continue to ring true today. Thank you and stay tuned for the next post. This is very enlightening, thanks for sharing!